But with the right learning materials you can pick it up a lot faster. Bloop Animation is perhaps the best place to start. It covers all forms of animation both 2D and 3D from start to finish with videos for all skill levels. You can start with little-to-no experience working through the site’s many free tutorials. But these only scratch the surface of what you should learn. If you’re serious about animating and want detailed high-quality instructional videos to help you learn then Bloop’s courses are perfect. I recommend starting with Animation Foundations but you can grab the entire library at a discount if you wanna learn more than just the basics. Now with that said let’s dive deeper into Bloop Animation to review the nitty-gritty details of their premium video courses. The concept for Bloop Animation started as a small YouTube channel offering free video tutorials for artists. It was created by NYC animator Morr Meroz after he graduated SVA with a major in 3D animation. Morr published many of his animations online so he’s not just a teacher in this field, but also a very talented animator. After the Bloop Animation website launched it grew into a haven for quality tutorials and guides on both 2D and 3D animation. This quickly evolved into a brand surrounding Morr’s work, and this led to a series of premium video courses alongside his many free videos. If you don’t have much money to spend you can always start with the free Bloop YouTube channel. Check out the quality, the topics & teaching style in those vids to see what you think. It’s a great way to preview Bloop’s courses before buying. Bloop follows the same freemium style as Proko’s courses which offers snippets for free on YouTube, but the premium courses have much lengthier videos and more in-depth topics that never get released on YouTube. So what exactly does Bloop offer? Honestly, a lot. So let’s look further into the premium videos and how they’re structured. Take a look at the main course page to get a full list of all the available video courses. Animation Foundations – all the main principles of animation for beginners including common phrases, tools, and methods for quality animating. Flash Animation – this course teaches the Flash interface for animators who want to start with Adobe’s powerful software(now called Adobe Animate). Toon Boom Animation – a full course on Toon Boom Harmony for animating, storyboarding, and crafting powerful animations from scratch(note: this is pro software that many studios use for animated movies & TV shows). After Effects Animation – learn how to animate logos, composite videos, and work with this powerful post-production software with a focus on animation. Blender Animation – a lengthy course on Blender, the free 3D animation software used by many artists & animators in the entertainment industry. Maya Animation – the cornerstone of 3D animation software, this course teaches you all the fundamentals of Maya for professional animation work. TVPaint Animation – another step-by-step course, this time focusing on TVPaint—powerful animation software used primarily by 2D animators. 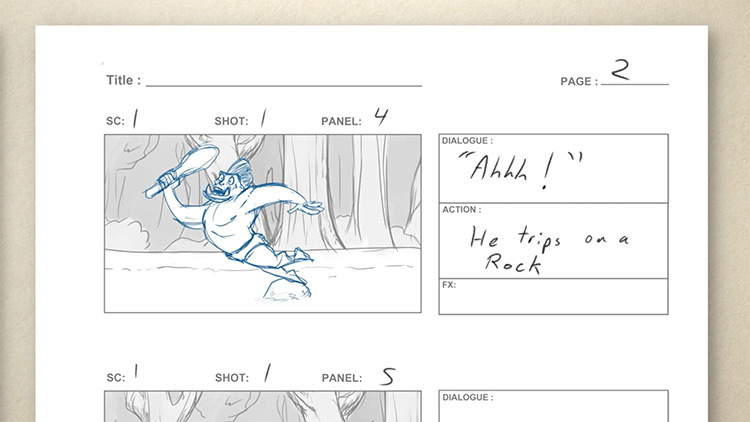 Storyboarding Foundations – the complete guide to everything you’ll ever want(or need) to know about storyboarding for animation. You’ll notice most of these courses focus on software while only two cover general animation: the basic Animation Foundations course along with the Storyboarding Foundations course. But you can pick up multiple courses together for a discount if you see a few courses that interest you. Note that Morr also wrote a premium e-book titled Animation For Beginners and this book comes with some of the video courses if you buy in bulk. I’ll cover pricing in more detail later but to give you a quick idea, each course sells on its own for $67 per course. The e-book sells for $29 on its own. But you can buy in bulk and save a lot if you nab one of the premium plans. If you wanna read about pricing now skip down to the section titled “Course Pricing”. Although we shouldn’t get too ahead cause we haven’t even covered what these courses offer! I grabbed access to the full library for the purpose of this review so I’ve checked out all of the main Bloop courses. They all have similar video quality, teaching styles, and similar formats for browsing through materials. This means if you get a course and like it then you’ll probably enjoy the others too. Once you join Bloop Animation you can log into your dashboard to access whichever course(s) you purchased. Each course can track which videos you’ve completed so you can bookmark the current lesson you’re working on. And when you complete a course you get a little certificate of completion in your account. The screen below features the Animation Foundations course as one example. But all of Bloop’s courses basically work the same way. From your account just select a course. You’ll get a list of all the course videos organized into chapters. There is a fourth link on the page which leads to a downloads page. Here you can pull .zip files of all the video lessons in their entirety to watch locally on your computer. Obviously these zip files are pretty big so they’ll take a while to download. The videos come in MP4 1080p HD resolution so they’ll look amazing on any monitor & they’ll work for every operating system. I should also mention the Bloop account panel works perfectly on mobile phones. So you can even stream these videos from the website using your tablet or smartphone, no hassle! Now onto the video pages: they’re pretty clean. Just a video player & a button to mark the video complete once you finish watching. But I noticed streaming speed for some videos was very slow even on my desktop with a 50mbps connection. It’s likely because the videos are under heavy load causing lag(especially for massive 1080p videos). They’re hosted through Wistia which is a fast & secure resource for video delivery, and I didn’t notice the slow speeds on every video page. But if you’re having trouble with streaming just download the videos locally. You can still mark whenever you finish a video and you won’t be held hostage waiting for streams if the site’s taking forever to load. I mentioned before that Bloop’s founder Morr Meroz started this brand as a YouTube channel. He teaches a few courses but many videos have another teacher doing the narration. 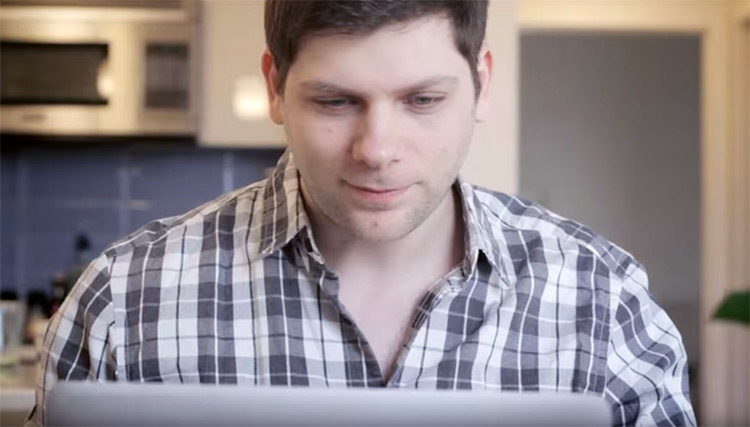 Most of the software-based courses just teach via screen capture. So for example the “Toon Boom Animation Course” breaks down the lessons into stages teaching the software’s interface, then how to create 2D artwork in the program, and finally how to animate. Each video teaches through example so you’ll watch on screen how to use Toon Boom with narration along the way. Note these lessons can get very detailed although they don’t feel too overwhelming individually. I’d say the average video length is around 10 minutes, but I saw videos as low as 6 minutes and some pushing 15+ minutes. But with the foundations courses you’ll have fewer screen capture lessons & far more instructional videos. These feel kinda like slideshows with examples of drawings & animations to explain various concepts. The Animation Foundations course is a great example of this teaching style when you’re studying the 12 principles. You might think that text & image videos aren’t really enough, but I still found them incredibly easy to consume. The majority of these pics come from Morr’s work or from a previous project to help explain a certain topic. Many of the videos feel like expanded versions of the free vids on Bloop’s YouTube channel. But these premium course videos offer much more detail and they cover topics that simply never get touched on the YouTube channel. Now don’t get me wrong, you can learn a ton from free YouTube vids. I just think the Bloop premium courses really take everything to the next level and the videos are high quality in every aspect: sound, resolution, content and teaching style. The price tag is always a big consideration for premium material. I’d say Bloop’s pricing is on par with Proko so it’s definitely reasonable. Bloop Animation courses sell individually for $67/course. This rate includes all the videos for one course both streaming & downloadable, along with exercise files and any extra freebies. Many of these freebies are actually pretty cool! For example the Toon Boom course includes a rigged character you can use for practicing & the storyboarding course includes free scripts & finished boards to study. Now if you want more than one course you can save money purchasing a bulk plan. The $97 Pro Plan offers everything in the main course + includes the Animation Foundations course. With this you’ll save about $40. And if the main course you’re buying is the Animation Foundations course then the Pro plan lets you pick any other course at the discounted rate. The $147 Master Plan offers everything in the main course + includes both of the foundations courses(Animation & Storyboarding Foundations) and the Animation for Beginners e-book. If you go this route you’ll save $85 considering the e-book isn’t usually free, so this is really the best plan considering what you get. The massive $397 Ultimate Plan comes with literally everything. You get all the courses, all the extras, plus the Animation for Beginners e-book. So which plan is best? Really that depends on what you want. If you don’t want the e-book or any secondary course then stick to the single pricing. But anyone serious about animation should try to nab the Master Plan because it comes with both foundations courses on basic animation + storyboarding, and you can pick any software course that you wanna learn too(I recommend Toon Boom). Granted if you’re passionate to study most of these Bloop courses the Ultimate Plan is probably the way to go. But it is expensive so I know it’s just not feasible for most artists. For the best deal go for the Master Plan. It offers the animator’s e-book along with both foundation courses + a software course. This is like the perfect beginner’s toolkit to start learning animation on the right foot. And if you do the Toon Boom course with the Master pricing you can learn the basics of animation + learn a program used by countless studios like Disney and Nickelodeon. So who would benefit most from these Bloop courses? 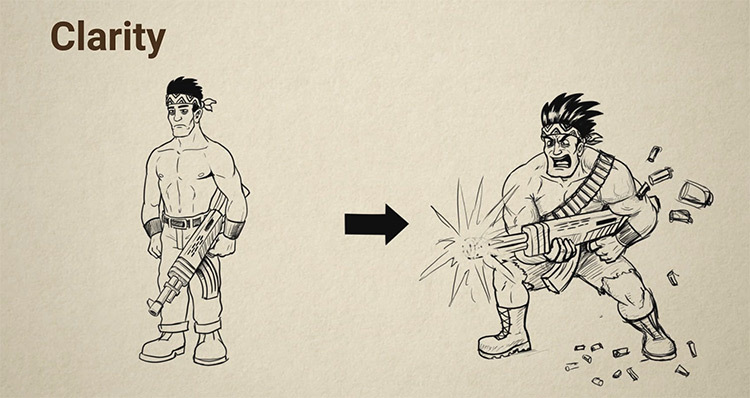 Ideally you should already feel comfortable drawing cartoons or drawing from imagination without much trouble. If you’re a complete beginner just learning to draw I recommend the Proko figure course as a better starting point. Bloop’s lessons assume some artistic skill, not to say you can’t learn from them as a beginner but you’ll have a tougher barrier to climb. 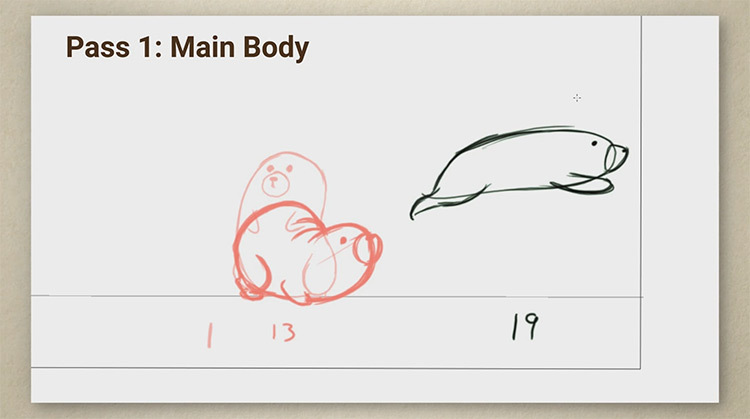 If you’re already comfortable with drawing and wanna move into animation then Bloop’s course library should help. I specifically recommend the foundation courses on storyboarding and animation. Both are packed with valuable info taught in a way that just makes sense. Although really you could try any course that tickles your fancy. They all have a similar teaching style and they’re all very high quality in content & recording. Not to mention these come with a 30-day money back guarantee so there’s really no risk. If you’re serious about a career in animation then Bloop’s courses will give you a huge advantage.